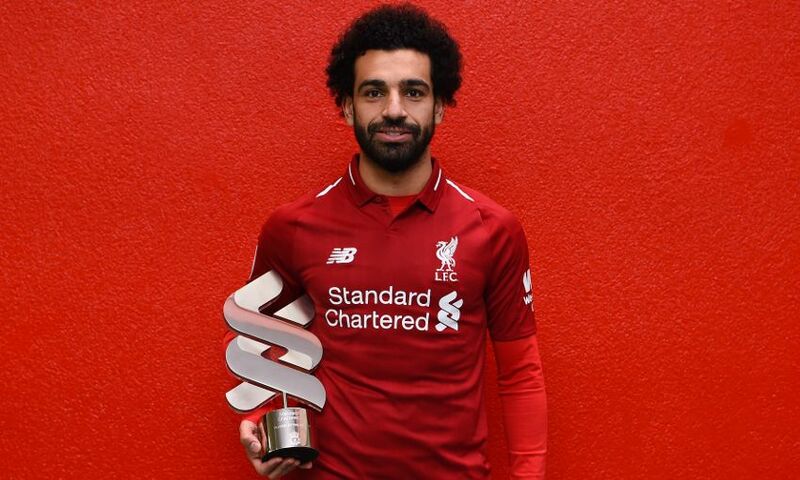 Mohamed Salah today received the Standard Chartered Player of the Month award for October after being voted the team's star man by Liverpool fans. After the month began with defeat in Naples and a stalemate against Manchester City, the No.11 was an integral figure in three successive wins for the Reds. Salah coolly scored the only goal of the Premier League clash with Huddersfield Town before bagging two in the Champions League win over Red Star Belgrade, which brought up his half-century for the club in a record-breaking 65 appearances. The Egyptian then netted one and created two to help Liverpool defeat Cardiff City at Anfield as they maintained an unbeaten start to their league campaign. And Salah’s efforts were enough to take the majority of votes in a poll of supporters on Liverpoolfc.com, ahead of Xherdan Shaqiri in second and Georginio Wijnaldum third. “It was not a bad month [for me], but I’m already looking forward to the next game,” he said after receiving the award at Melwood on Thursday. “I’m happy with the results so far - with the team’s results firstly and my goals second; to score a goal to help the team is always something I like to try to do. Three of Salah’s four goals came at Anfield during the month, including the aforementioned 50th for the club overall. It was a feat the Egyptian achieved quicker than any other player in Liverpool’s history, meaning he surpassed the mark previously set by Albert Stubbins (77 matches). “I’ve said before in interviews, it’s always a good feeling to play and score at Anfield,” Salah said. “The record I have at home is great and I really enjoy playing at Anfield a lot. “I’m looking forward to reaching 100 goals for Liverpool! Let’s see what happens, but there are many targets to try to aim for before then - first to try to win something for the club, to achieve something and continue winning games.